In this debut YA urban-fantasy novel, a teenage girl begins astral-projecting in her sleep. In October 1989, 17-year-old Alyssa Peña lives in Dana Point, California. Before waking one day, she has an intense, lucid dream that involves “mentally participating” in its events rather than simply viewing them. Although her classmate, Cathy Rojas, is skeptical of her claims, Alyssa begins writing a dream journal and creates a “mental Check List of self-awareness” to help her acknowledge instances of lucid dreaming. When she tells her best friend, Brian McHale, about her experiences, he says that she’s using the “Astral Plane,” a vast realm visited by people with formidable psychic power. One night, Alyssa and some friends have a party in the San Clemente hills. There, they encounter a group of people wearing hooded robes, seemingly about to sacrifice a black cat. As Alyssa and her friends move to save the animal, it leads to a fight, during which a handsome young man in a leather jacket helps the students. To Alyssa, he says, “What’s up Dream Girl?” Later, she meets him in a lucid dream and learns that his name is Will; soon, he tells her that she’s a prodigy and starts guiding her through the Astral Plane. However, he’s also keeping a dark secret from her. In this urban-fantasy tale, Ruiz perfectly conjures teenage life in the late 1980s; Alyssa, for example, is obsessed with the music of the era—everything from Cyndi Lauper to Def Leppard—and says things like, “Screw regular dreams! They were for suckers!” which gives the often esoteric subject matter an accessible YA tone. 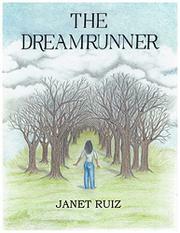 Her dream adventures are varied and include a visit with her Vietnam veteran father and a battle against “Ego” creatures. Ruiz offers memoir-style slices of teen life with an elegiac flavor alongside the out-of-body action, and although the author does eventually reveal dedicated adversaries for Alyssa, they’re slow to appear. Overall, the novel is more effective as a period piece than as a straightforward fantasy. A unique psychic adventure full of 1980s teen tropes.